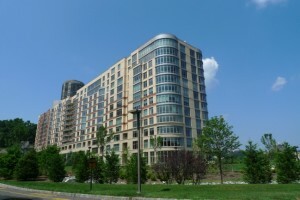 Which 10 Luxury Condos in Hudson County, NJ Just Sold for Top Dollar? 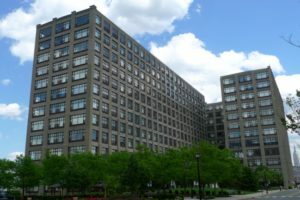 As we saw in the April 2018 Hudson County market report, average sales values for condominiums in Hoboken and Jersey City continue to rise. If you’ve been considering selling your property, now is a great time to do so! The following ten Hudson County condos sold for top dollar this past month. Did a unit in your community make the list? Created by combining 3 prime units that span the SE corner of the Hudson Tea Building resulting in a truly distinctive plan that offers over 3,555 square feet of luxurious living while revealing breathtaking views of the Hudson River and the NYC Skyline. The Master Wing offers direct east views from the main bedroom and adjacent study. The Guest Wing includes two bedrooms, a playroom/office, two full bathrooms and a laundry center. Concierge, fitness, business center. Walk to NYWW Ferry or NJ Transit bus. This New Construction Boutique Community consists Smart Homes. Common Roof Lounge and Deck with Amazing City Views. Some homes have private outdoor terraces and yards. This 3 BR/ 3 FB is equipped with Crestron Intelligent Home Package and flat screen TV in the living­ room, integrating your Lighting, Window Treatments, Music Etc. 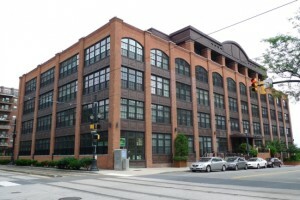 Centrally located by Hamilton Park, Grove St Path and all that JC has to offer. This home comes with a 5 year tax abatement. New LUXURIOUS 2BR 2BA in the prestigious Avenue Collection at Port Imperial! 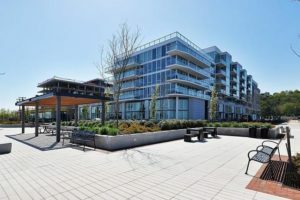 This sprawling 1299 square foot unit boasts hardwood floors throughout, completely modern kitchen, baths and living space and Washer Drier in unit. PH level at 10.5 feet high ceiling with a huge Walk-­in Closet, One deeded parking! The building comes equipped with several amenities including a gym, sauna and jacuzzi, pool, elevator, security, storage space, and more! All just so close from the NY Waterway terminal. 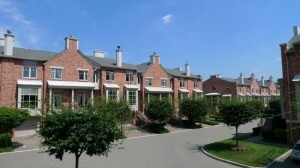 Impeccable 2 Bedroom / 2.5 Bathroom Bergen style townhouse located in highly sought after Jacobs & Bulls Ferry. Stretching across 1,437 SqFt, this home features top of the line finishes including gleaming hardwood floors, direct East views of NYC and the Hudson River, an outdoor patio perfect for entertaining, in­-unit washer/dryer, and parking for two cars. Chef’s kitchen includes SS appliances, granite counter tops, breakfast bar, and custom cabinets. Large master suite features walk­-in closet, en suite bathroom, and balcony with direct NYC views. Jacobs & Bulls Ferry includes 24 hour security, shuttle to/from Ferry & Lightrail, two outdoor swimming pools with jacuzzi, and more! This Luxury 3 Bedroom, 2 Bathroom Condo, open living room/dining room with 2 terraces, fully equipped kitchen, stainless steel appliances, granite countertops and mosaic backsplash, designer baths, gleaming hardwood floors, ample storage and closets, and a plethora of amenities usually reserved for higher priced condominiums. Surrounded by an extensive transportation, business and commercial hub, you’ll be steeped in a unique urban experience as a Union City Resident. Luxury at its finest. Welcome to The Watermark. Stunning Unit on the 11th floor. Every Room facing Hudson River & NYC Skyline. Open floor plan, Living RM/gas fireplace, DR., Modern Italian Cherry Wood Cabinet w/Breakfast Bar & Stainless Steel Appliances. 2 BRS, 2 Baths, 2 Indoor Parking. Full Amenity Complex Offers Concierge, Doorman, Health Club/Steamer/Sauna/Whirlpool, Theater, Children Play Room, social Room, In/Out Door Pools. Free Shuttle Bus to NYC Ferry. NYC/Local Buses at your door. 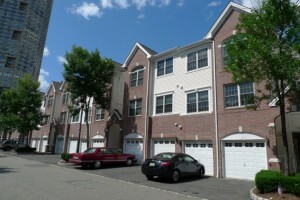 Mins to Lincoln Tunnel, GW Bridge, NJ Highways and Shopping. Watermark is at quiet Cul­ De­ Sac next to Hudson River. Fulton style home for sale!! North east corner unit with magnificent panoramic NYC and Hudson River views!!! Lots of windows throughout home. Flooded with light all day long!! Private elevator. Soaring ceilings. Wall of windows and slider to 24 foot view balcony. Hardwood floors. Custom lighting and window treatments. 42 inch cabinets, granite counters, back splash and stainless steel appliances in gourmet kitchen. Custom painted. Skylight over jacuzzi tub in sumptuous master bathroom. New hot water heater. Parking for two cars; one in private garage; one in driveway. Community boasts two pools with jacuzzis, tot lot, waterfront promenade and park, and free shuttle to ferry. Steps to 158 bus to NYC. Close to restaurants and shopping. The Epitome of Waterfront Living! Brand New Construction: Side by Side duplex. Brick and Stone front facade. 3 br, 3.5 bath on each side: first floor comes with eat -­in ­kitchen (plus breakfast area and sliding door to walk­ out deck to BBQ or to get fresh air), living rm with gas fireplace, dining rm, half bath, coat closet, pantry. Second floor offers master bedroom suite, 2 additional bedrooms, 2nd full bath, laundry room and access to attic. Master bedroom suite comes with 2 full size closets and vaulted ceiling plus full bath with cathedral ceiling, over­size shower, Jacuzzi tub, sink and toilet. Basement opens up to huge family room and full bath and access to garage. Private fenced yard. This corner location Waterfront Bryant model was formerly the Model Home in Boatworks and comes packed with upgrades not commonly found in other homes. Highlight features include, new hardwood flooring (even on the stairs), recessed lighting and new Pergo flooring in the bonus room which leads out to the waterfront promenade. The modern kitchen has plenty of cabinetry for all your needs and is open to the living and dining area providing a wonderful atmosphere for entertaining. The upstairs space has a true master suite, MB with vaulted ceilings, MB with large soaking tub, double vanities, a separate shower and a walk in closet. The second bedroom is graciously sized with a large closet. Location is walking distant to light rail, buses, shopping, parks and schools plus all the amenities the association has to offer. Fully updated and customized Salerno model home. This bright and vibrant home has custom woodwork throughout, recess lighting, hardwood flooring, sound system, security system, Kitchen with slate floor Viking range, Viking fridge, Bosch dishwasher, and custom lighted cabinets. Living room is oversized with gas fireplace opening into an oversized dining room with dry bar. Master bedroom suite cathedral ceilings, Juliet balcony, two walk in closets, bathroom has marble flooring, negative edge whirlpool, glass steam shower, and heated towel rack. Lower level is above ground with heated/finished garage and has walk out option to patio, rec room, bedroom and full bathroom. Community is ideally located and offers an outdoor pool, 24hr security and private access to the river walk. Want Top Dollar for Your Hudson County Condo? Does your property feature many of the same amenities as these highest-selling condominiums? My team and I can help you earn top dollar for your condo. We offer a wealth of resources tailored to selling luxury condominiums, from up-to-date sales data for condo buildings throughout Hudson County to a complimentary market analysis for your unique property. Contact us today to learn more about the Hudson County condo market, or take the first step to a top-dollar sale by listing your property with us.